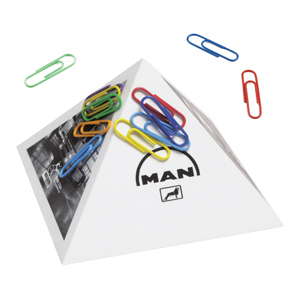 Paper Clip Pyramid - Express Corporate - Promotional Products - Delivered Fast! This magnetic pyramid is the perfect desk tidy with four generous print areas. Supplied with a pack of coloured paper clips.